Shopping for Star Wars Cameras? 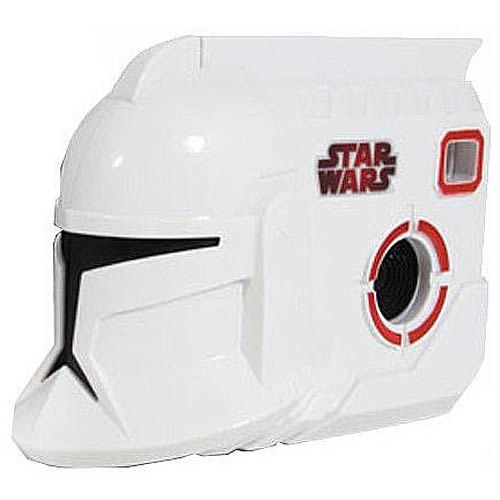 Kids and fans can now become part of thrilling Star Wars adventures with the Star Wars Storm Trooper Digital Camera. The Star Wars Storm Trooper Digital Camera features custom photo editing software that includes stickers, backgrounds, and frames! The 1.3 megapixel camera features 8 MB of memory, an over 1-inch color screen, and takes 200 photos. Look out for Darth Vader's lightsaber lighting up every time you take a picture! Ages 6 and up.